I used to love those pretty little gift soaps in fancy designs and beautiful colors with the strong flowery scents. I did, until I realized what was in them and how bad they were for my skin and overall health. 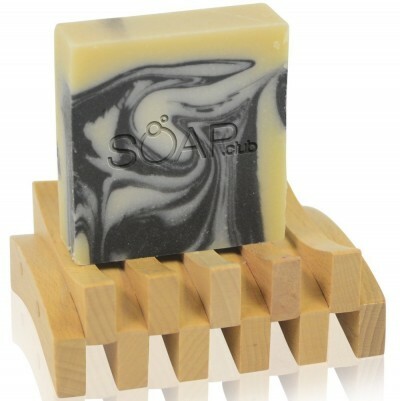 Now I only use natural soaps that will benefit my skin and do no harm. 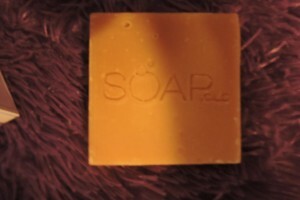 I was excited to find the Soap.club and try their natural line of soap, several varieties, and all handmade. I chose the Lemon Coconut variety to test. It came packaged in a pretty little box that should be easy to compost after the soap is removed as it contains no plastic. 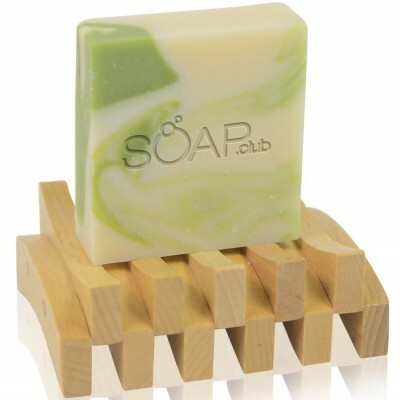 The bar itself is a basic square bar with the word soap engraved. It’s not glamorous, but rather reminiscent of the old style homemade bars, quaint and traditional. The smell is citrus, but with the coconut aroma floating through it, very pleasant in a comforting sort of way. The bar is a chunk, quite large compared to store purchased soap bars. It does not fit easily on the ceramic soap rack on my sink, but looks beautiful on a separate soap dish. But, looks aside, soap is intended to be used, so I wet it down and put it to the function test. The scent comes out a bit more when it is wet, but is not overpowering. It feels quite smooth, not oily, but definitely not dry on my skin. I have quite dry skin and it seems to moisturize quite well. It doesn’t have a large amount of suds, but it certainly cleans effectively and rinses clean. My skin feels very good after washing with it! Soap.club uses only natural ingredients, no detergents or harsh chemicals, no preservatives, and no artificial colors. The ingredients are all easy to recognize, Natural Coconut, Olive & Hemp Oil, Shea Butter & Pure Lemon Essential Oils. They are even easy to pronounce! 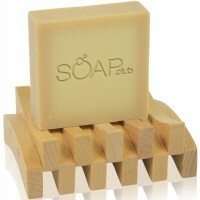 This soap is truly soap, safe to use for the whole family and naturally scented. 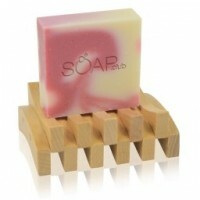 It contains anti-oxidants and vitamins from the ingredients to nourish skin each time you wash. Many chemical laden soaps are actually harmful to skin, while this will help hydrate and tone it. After using this soap for over a week, the benefits become even more clear. It truly does moisturize and condition your skin, and does seem to reduce brown spots, as well as wrinkles. 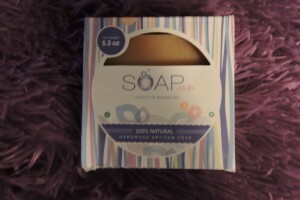 Soap.com offers their product on their website and it’s available on Amazon (see affiliate link below) It comes in several varieties. I highly recommend this soap!